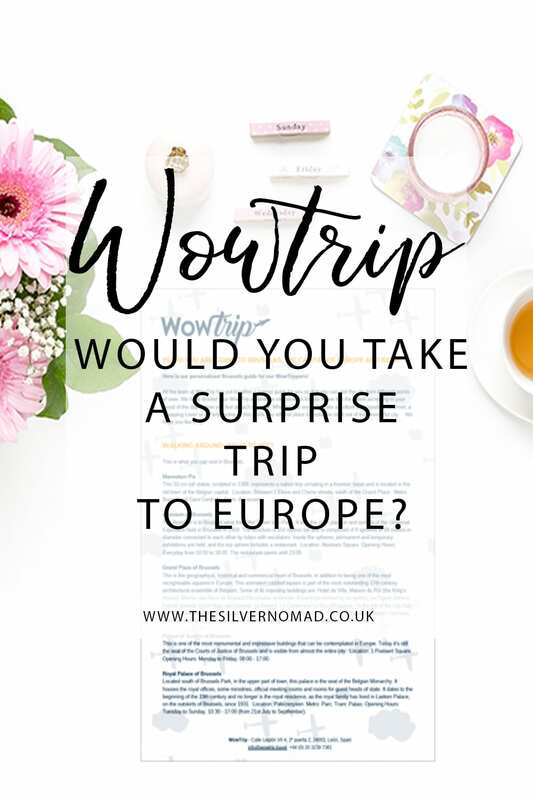 WowTrip – Would You Take a Surprise Holiday in Europe? 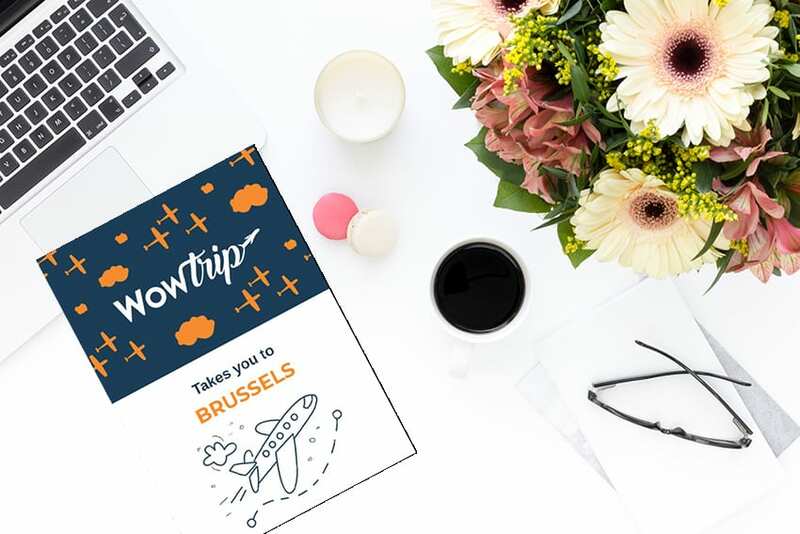 This post about my surprise trip to Brussels was created in collaboration with WOWTrip. A fabulous way to discover somewhere new or to treat a friend or loved one, maybe a birthday, Valentines, wedding or anniversary present! Have you ever been taken on a surprise trip, where you have no idea where you are going? All you know is how long you are going for, which airport and that it is somewhere in Europe? I took a surprise trip arranged by WOWTrip. The surprise was that until I turned up at Heathrow, I had no idea where I was going. Now, I normally have two ways of organising my travel: I either plan and book well in advance or I book last minute and go with the flow. But whichever way I travel, I am the one to be in control of all the bookings, flights, accommodation and transport. So for me to give up the organising and allow WowTrip to book my flights and accommodation did cause me more than a few palpitations. But I needn’t have worried, everything went so smoothly. Where does WowTrip fly to? How much does a WowTrip cost? Can I choose where you are going? When do you find out where you are going? What about check-in at the airport? Can you travel on your own? How will you know what to do when you get there? 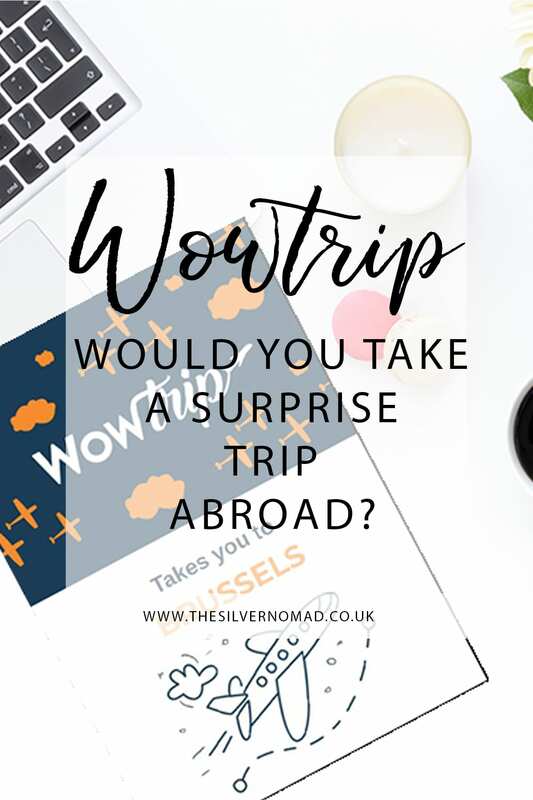 The basic idea behind WowTrip is that you go to their website, select which airport you would like to fly from, how many people are travelling, for how many days and what date you would like to fly on and leave the rest to them. WowTrip then arranges the flights and hotel on a room only basis. You cover your meals and any other expenses like transport, excursions and treats. If you fly from one of the London airports, you could land in any one of 46 European cities; but you can also fly from Birmingham, Manchester or Edinburgh. You could jet off to Athens, Bologna, Stockholm, Nice or Venice or one of the other great European cities they offer. The hotels you stay in are a minimum of 3-star hotels and centrally located. We stayed at the Hilton Brussels City, a 4-star hotel within walking distance of the Grand-Place in Brussels. Depending on when you fly, 2 nights and 3 days costs from as little as £150 per person. Obviously the more days the more expensive it gets, but you can stay for up to 7 nights, 8 days. While you can’t choose exactly where you are going, you can select places you don’t want to go to. You can discard as many destinations as you want, the first one is free, but after that, it costs £5 per destinations per person. But remember this is meant to be a surprise! If you give it as a present, or receive it as a gift, up to 3 destinations can be discarded for free. 48 hours before you fly you can access the details of your trip; which terminal you are leaving from, what your departure time is, information about what to pack, weather forecast (though do remember Europe has very changeable weather!) and the airline’s luggage policy on your ‘My WowTrip‘ dashboard. If you really can’t stand the suspense, you can also find out where you are travelling to on via a link on your ‘My WowTrip‘. 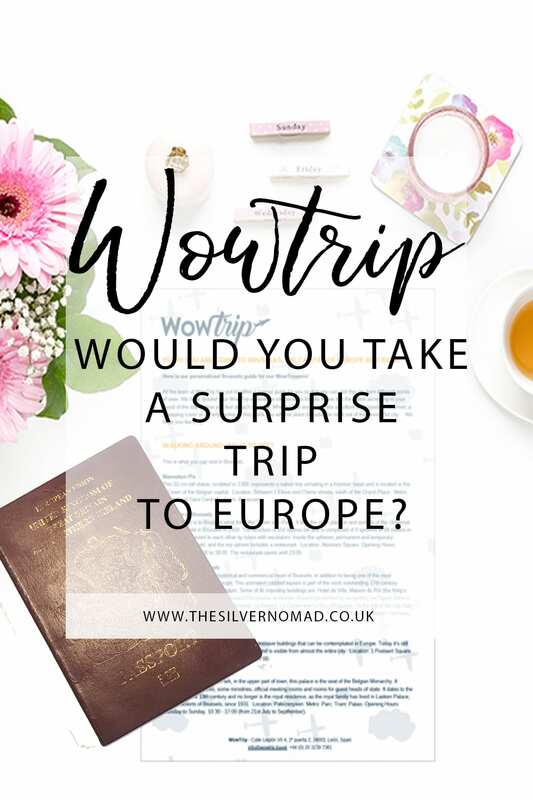 However, if you are the more patient type and want a real surprise, you can arrive at the airport at the time given on your ‘My WowTrip and download your boarding passes before you go through to Departures and find out then where you are going! You can relax, WowTrip will check-in you in both on your outward and your inward bound flights. All you need to do is download your boarding pass. You are allowed to carry one piece of cabin-sized hand luggage on your flight, but if you really need more, you have to note it in the “Observations” and WowTrip will let you know the extra cost. Travelling alone is perfectly fine! WowTrip cater for single travellers, but you do pay a supplement which varies on time of year and departure airport. WowTrip provides you with a downloadable mini-guide to your destination giving you hints and tips of things to do, where to eat, shop and even day trips out of the city. The WowTrip offices are open during normal working hours or available by email. There is also a 24-hour emergency number. Unfortunately problems occur and your flight could be delayed, this is out-with the control of WowTrip, though they will try to help if you need to make a complaint. WowTrip does not offer insurance, and you will need to arrange your own insurance. Although I was a bit apprehensive, to begin with, I found that the whole experience was really easy and it was quite fun turning up at the airport not knowing where I was going. The Hilton City Hotel was really comfortable and much better than I expected. Would I do it again? Yes, definitely and I have already gifted a trip to a friend for their birthday and I am excited to see where they go. I would recommend it for a surprise trip for yourself and your partner, or it makes a great wedding, birthday or anniversary gift. 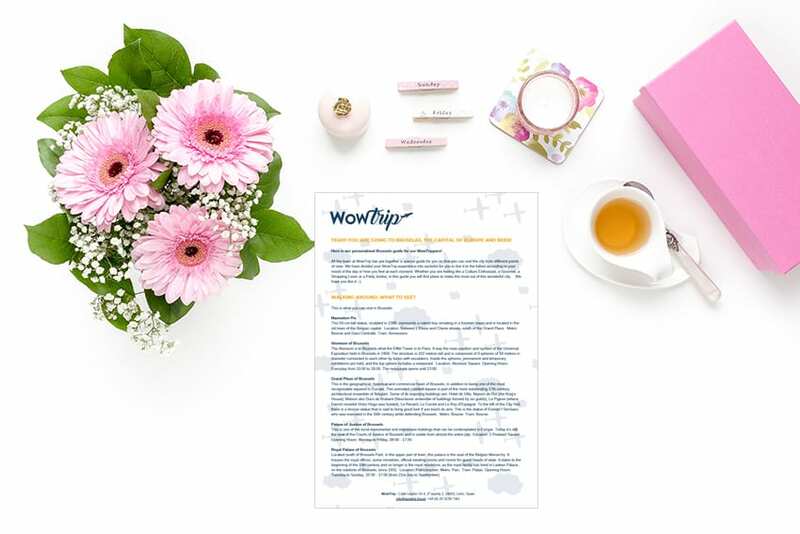 I was a guest of WowTrip and received my flight and accommodation for free, all other expenses I covered myself. I was not required to write a positive review. All opinions and photographs are my own. No photographs may be reproduced in any manner without my written permission. That’s such a fascinating concept! Pretty cool that it went off without any issues. I’d love to recieve something like this as a gift. I’m going to pin it for my wish list! Hope your wishes come true Francesca! I’ve been considering doing something like this myself! I’ve also considered turning up at an airport and taking the next available flight! Do it!!! Love the idea of turning up at an airport and taking the next available flight, maybe we should arrange it?? I do like the idea of this but the thought of actually doing it is sending my anxiety sky-high! As someone who never travels with an extensive spreadsheet, I don’t think it’s for me 🙂 Really cool idea though! I am like you, but actually going with the flow and letting WowTrip handle it all was quite relaxing for a change! I like the concept but as someone on a non-EU passport, some airlines need a printed boarding pass so I can’t wait until Im already at the airport to discover my destination. 🙁 ruins the surprise a bit i think! This is awesome! We have something similar in the US but they don’t give you the discard option. You do tell them where you have been recently though so they don’t send you there. That is great to know Francesca! I have some American friends that I would like to gift a trip to!